Las Vegas’ latest casino resort, The Cosmopolitan boasts one of THE grandest sights EVER in a city known for its stellar visuals. Yes, my fellow friends of Found Saved, a bar really can be considered a work of art! 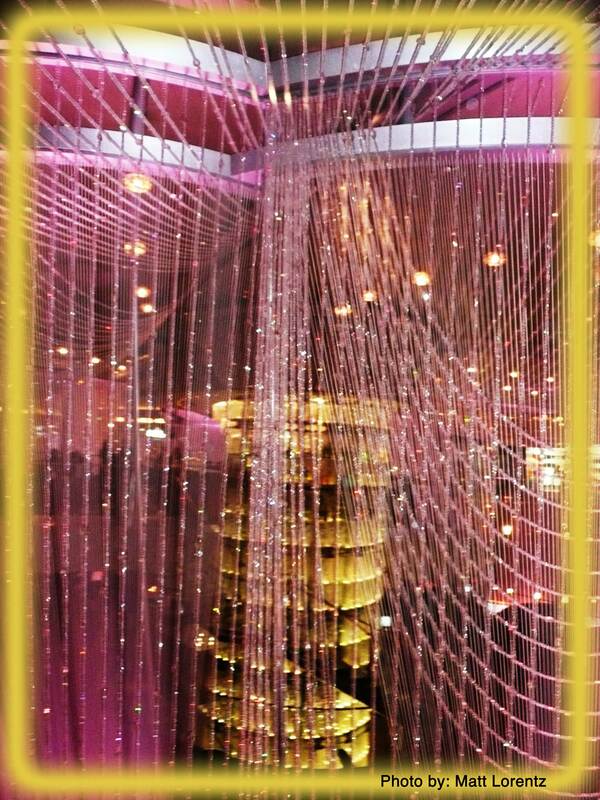 This is clearly seen in the hotel’s centerpiece, a 3 story lounge inside a massive chandelier! Appropriately titled THE CHANDELIER, this architectural wonder is engulfed by 2 million crystals! All three levels offer their own signature drinks and vibes. 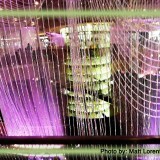 The Bottom of the CHANDELIER at the base is a lively spot to grab a drink or two. INSIDE THE CHANDELIER located on level 2 is an even more sophisticated cocktail experience that offers fine, hand-crafted drinks. The TOP OF THE CHANDELIER is where you can see the all the lights and sights of the entire Chandelier. A futuristic glass tube elevator whisks you from one level to the next. The two million crystals were hand strung together in many rows to form unique shapes and contours. This was no easy feat! The furniture varies on each level, as in most of the hotel itself. From vintage to space-age, it’s all found here. The Cosmopolitan opened on it’s doors in December of last year. This $3.9 billion luxury resorts-of-all-resorts features 2,995 rooms; a large casino; shops and restaurants ; a 1,800 seat theater; and convention space. The resort was originally to house 2,200 residential condominium-hotel units and 800 hotel rooms, but plans were altered due to the effects of the recent recession. So these rooms are epic in scale! No trip to Vegas is now complete without seeing this unbelievable sight! Cheers! 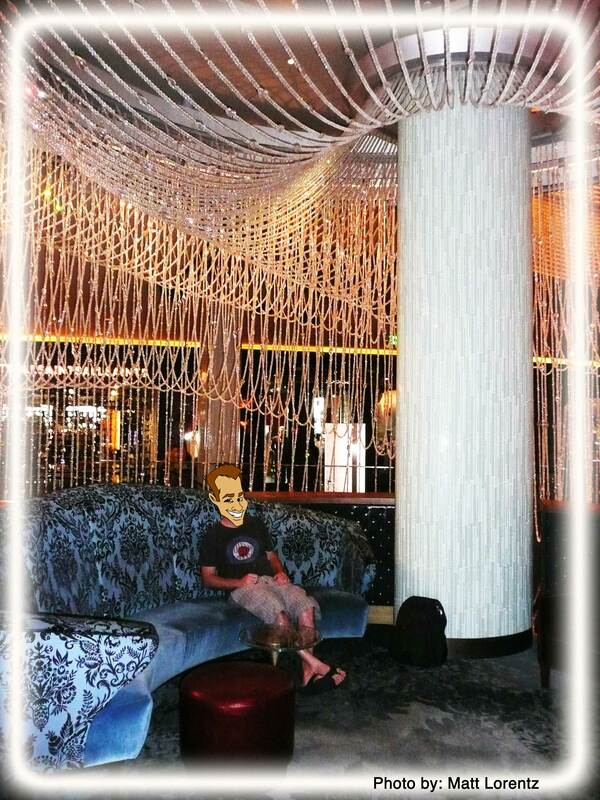 The Cosmopolitan of Las Vegas is located at 3708 Las Vegas Boulevard South, Las Vegas, NV 89109.